Manufacturer & Exporters of Alloy Steel ASTM A335 P1 Seamless Pipe & P1 Welded Pipe, Alloy P1 ERW Pipes, Alloy ASME SA335 EFW Pipe Supplier in India. Leveraging on the support of experienced professionals, We Neon Alloys are engaged in manufacturing & exporting of fine grade Alloy Steel ASTM / ASME A335 Gr. P1 Seamless Pipe. These ASTM A335 P1 Alloy Seamless Steel Pipes are available in different lengths and diameters to serve diverse applications and are made of premium quality. 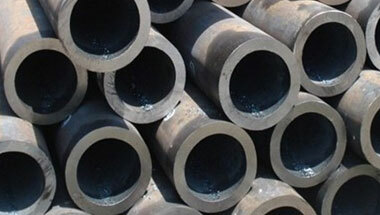 These ASTM A335 P1 Alloy Seamless Steel Pipes are highly durable and have long lasting functional life. Alloy ASTM A335 P1 High Pressure Pipe Exporter, Alloy Steel P1 Fabricated Pipe, ASME SA335 P1 SAW Pipe, Alloy Steel P1 LSAW Pipe Manufacturer in India. Africa, Cameroon, Kuwait, Venezuela, Dubai, Sri Lanka, Kazakhstan, Bahrain, Mexico, Malaysia, UK, Jordan, Turkey, Ethiopa, South Africa, United States, Nigeria, Mozambique, Sudan, New Zealand, Egypt, London, Canada, Thailand (Bangkok), Tunisia, Algeria, Ghana, Azerbaijan, Italy, Russia, Iran, Vietnam, Argentina, Uganda, Indonesia, Iraq, Saudi Arabia, Morocco, Germany, Trinidad and Tobago, Democratic Republic of the Congo, Angola, Houston, Colombia, Brazil, Chine, UAE, Australia, Peru, Israel. Luanda, Port Elizabeth, Accra, Dubai, Lusaka, Port Harcourt, Lagos, New York, Cairo, Maputo, Brazzaville, Mogadishu, Fez, Bulawayo, Soweto, Harare, Nairobi, Abu Dhabi, Antananarivo, Tehran, Casablanca, Durban, Kinshasa, Singapore, Dar es Salaam, Kolwezi, Dakar, Freetown, Hong Kong, Ouagadougou, Zaria, Tel Aviv, Sharm el-Sheikh, Ibadan, Benin, Data from the UN, Rabat, Aqaba, Manama, Kampala, Omdurman, Conakry, Douala, Subra al-Haymah, Mecca, Riyadh, Abidjan, Cairo, Amman, Yaoundé, Khartoum, Alexandria, Kano, Johannesburg, Lubumbashi, Istanbul, Cape Town, Byblos, Mbuji-Mayi, Algiers, Pretoria, Bethlehem, Doha, Colombo, Maiduguri, Kaduna, Muscat, Addis Ababa, Beirut, Giza, Jeddah, Bamako, Dammam, Tripoli, Jerusalem.